Nvidia is trying to make it easier for streamers on YouTube and Twitch with their GeForce Experience Beta. The GeForce Experience already lets gamers record up to 20 minutes of gameplay with the “ShadowPlay” feature, but only with accepted games. Most of the new features revolve around the ability to take high definition screenshots in game and easily share them. Here’s a list from the GeForce Beta page. Screenshot Capture: Capture beautiful screenshots during gameplay through our Share Overlay. Screenshot Edit: Edit, Crop, and Enhance your screenshots through the gallery option of our Share Overlay. Broadcast Overlay: Showcase customized information during a broadcast to Twitch.tv and YouTube Live through an image overlay. Broadcast Viewer Count: Showcase the number of viewers during a broadcast to Twitch.tv and YouTube Live. Nvidia has also added a Share Overlay. This allows players to seamlessly access recording and broadcasting features without ever leaving the game. This also allows gamers to stream to Twitch and YouTube at 1080p 60hz. After you’ve recorded your in-game video, you will then be able to do some quick edits before you send it out. It’s your one-stop gaming shop. lets you stream your game over the Internet to a friend and play together cooperatively – just as if your friend was sitting in the chair next to you. Using Gamestream Co-op, you can now get help on a tough level, play in co-op mode, or just do a real-time 1:1 live stream with your friend. As this is only in Beta, don’t expect everything to run perfectly. Nevertheless, this will let streamers and recorders do more with their videos in a faster and more intuitive manner. 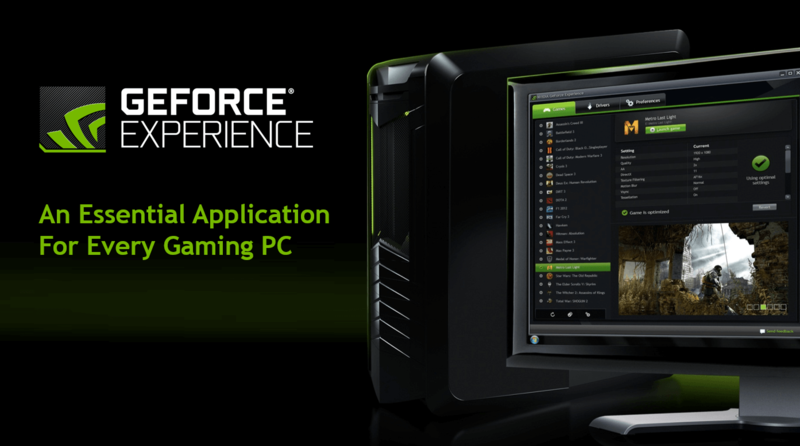 What do you think of the GeForce’s own brand of game streaming tech? Let us know in the comments below.